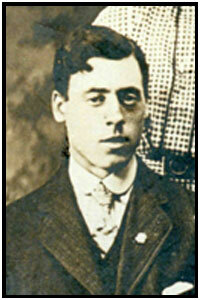 I possess but two photographs of my great-grandfather Herbert Clifford. One was taken in 1904 when, as a 13-year old boy from London’s East End, he was taken into care by Dr. Barnardo. The second was taken in 1910, shortly after he married my great-grandmother, the farmers daughter, in a small town just outside Ottawa, Ontario. 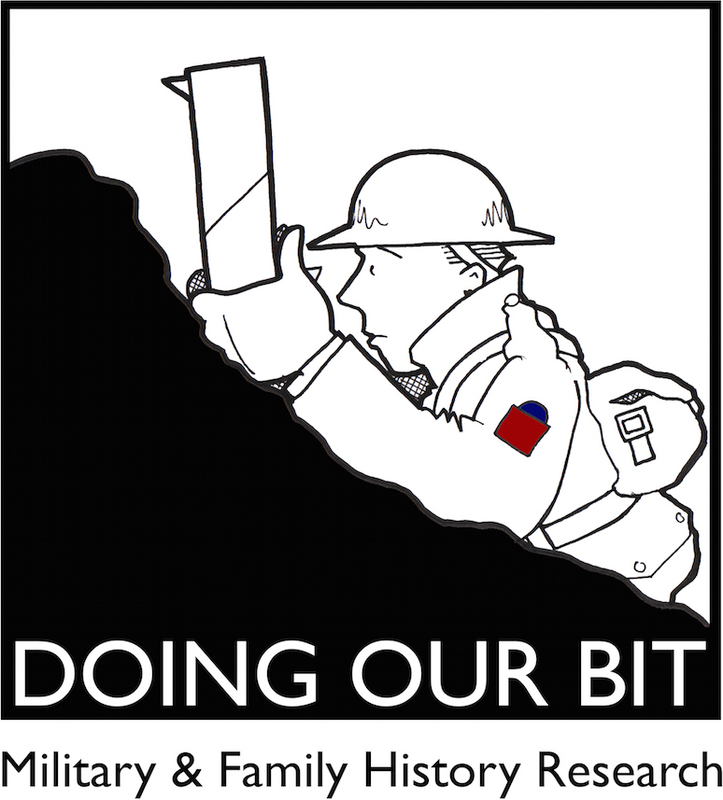 Herbert joined the 14th Battalion (The Royal Montreal Regiment) in August 1914 and sailed to England with the First Canadian Contingent where he spent a very cold and wet winter on Salisbury Plain. He first experienced life in the trenches near Fleurbaix in early March 1915. By mid-April he was stationed near St. Julien in the Ypres Salient. On April 22nd he was shot and captured while scouting the enemy during the opening hours of the Second Battle of Ypres. Herbert spent nearly four years as a Prisoner of War and did not gain his freedom until Dec. 28, 1918. Herbert returned to Canada in September 1919 but disappeared in January 1920 (read about my quest to solve the mystery surrounding my great-grandfather’s disappearance). I’ve been searching for a photo of Herbert in uniform for many many years but I’ve had no luck. 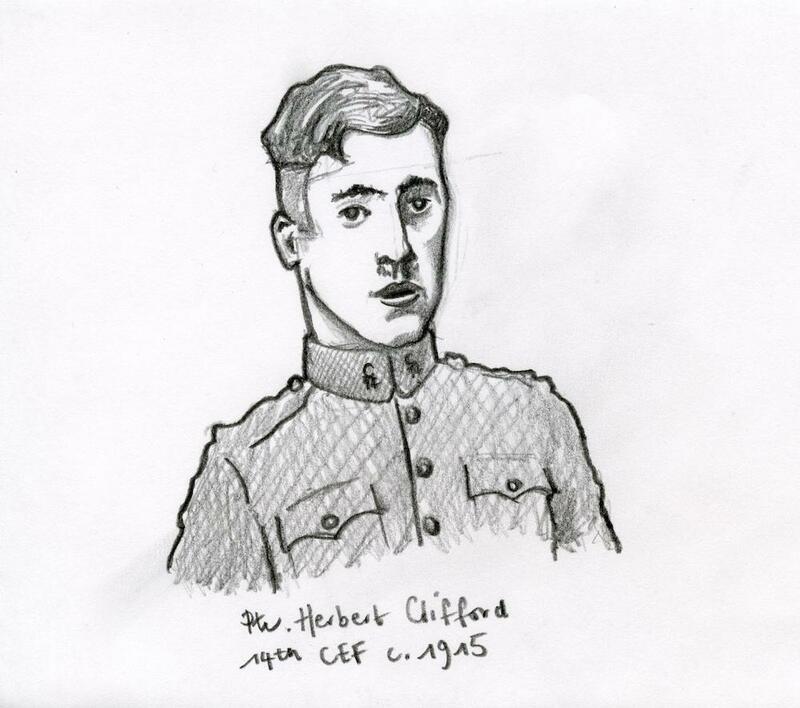 I’m a great admirer of Tim Fox-Godden‘s drawings and an avid follower of his illustrating the Great War blog. So much so that I recently commissioned him to draw Herbert for me. 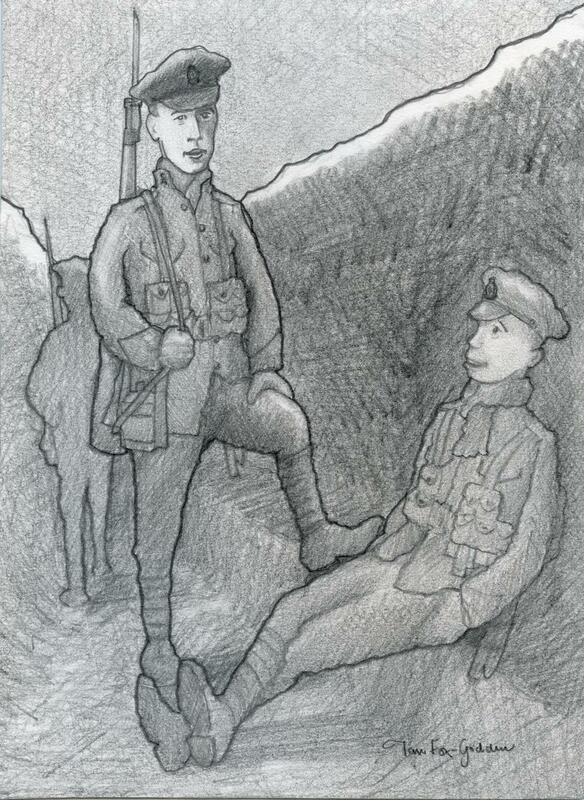 Within the space of a couple of weeks I received both a preliminary sketch (above) and a larger drawing of Herbert in a trench (below). Tim’s done a wonderful job and I’m very much looking forward to hanging both pieces on the wall next to my desk. I confess I’ve purchased a third drawing and may need more wall space before long!